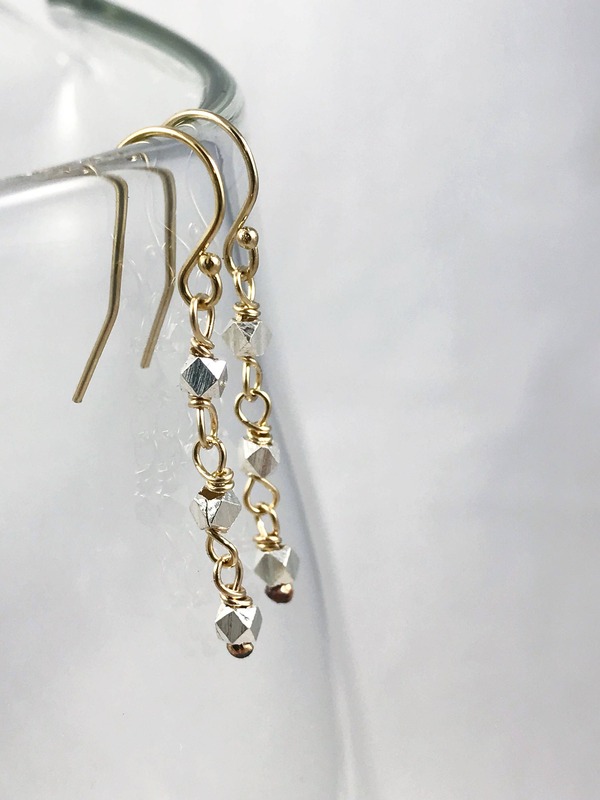 These two toned gold and silver earrings are simple, modern, pretty and so much fun to wear. 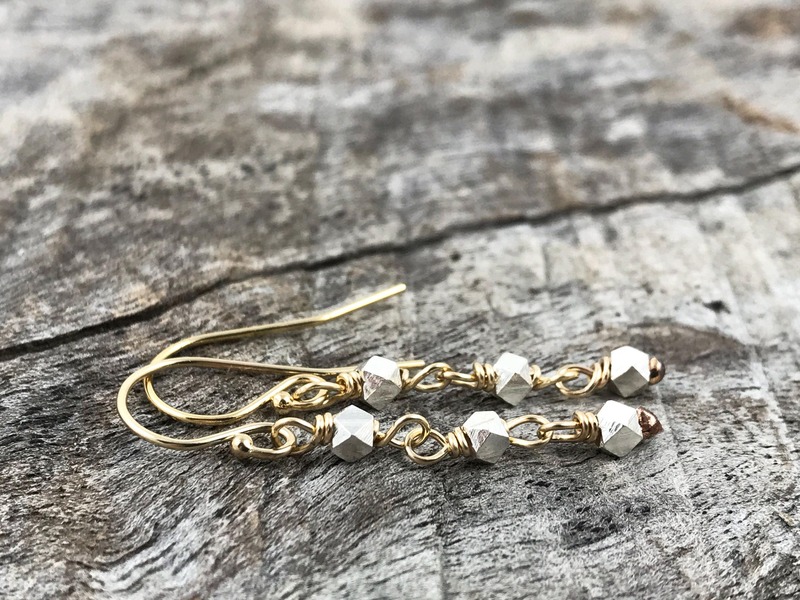 Featuring hand carved 3mm fine silver (99.9% pure silver) hexagonal nuggets, 14k yellow gold filled wire rivets and 14k yellow gold filled ear wires, they move flawlessly, have great light play and will look great with almost anything. 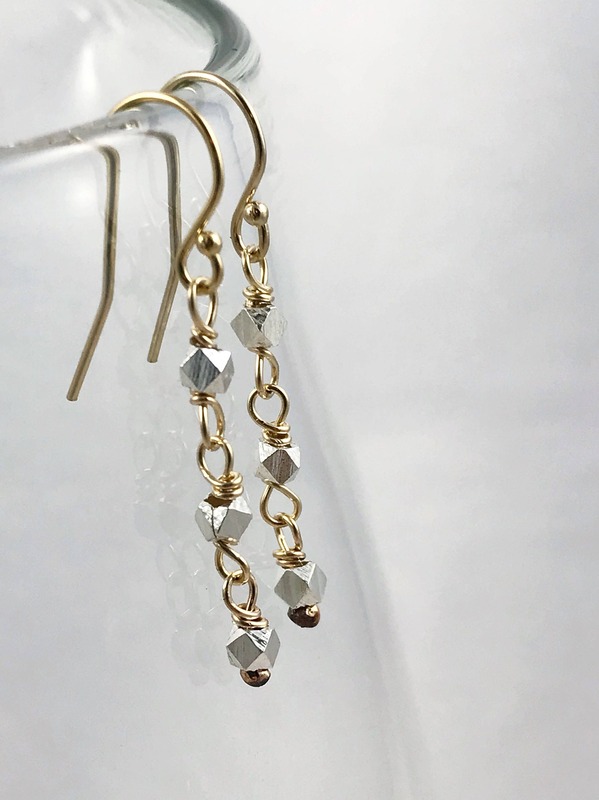 -Two tone design - gold and silver. 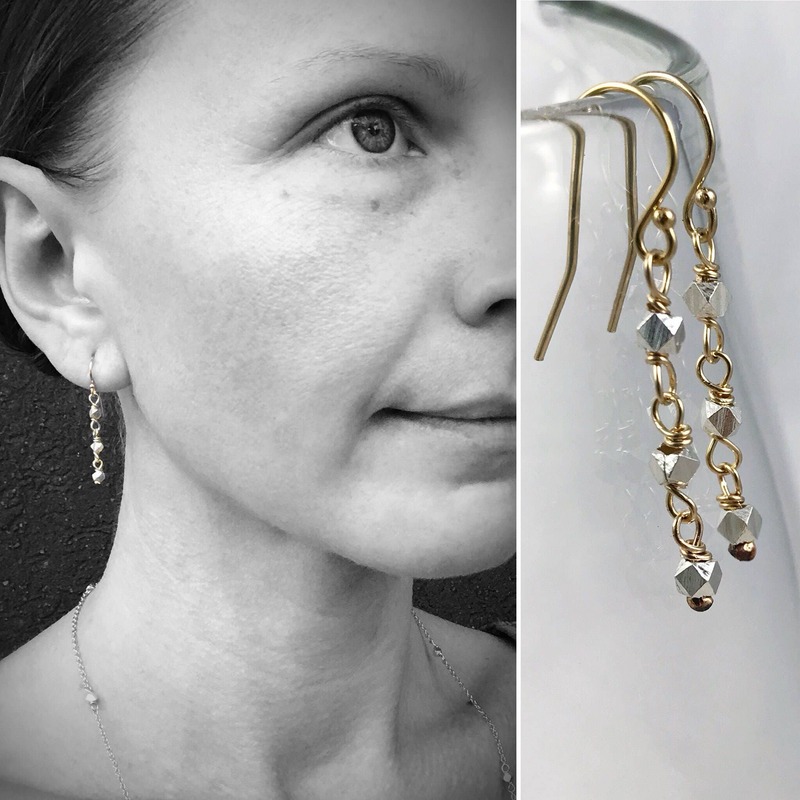 -Earrings are 14k yellow gold filled wire and ear wires. 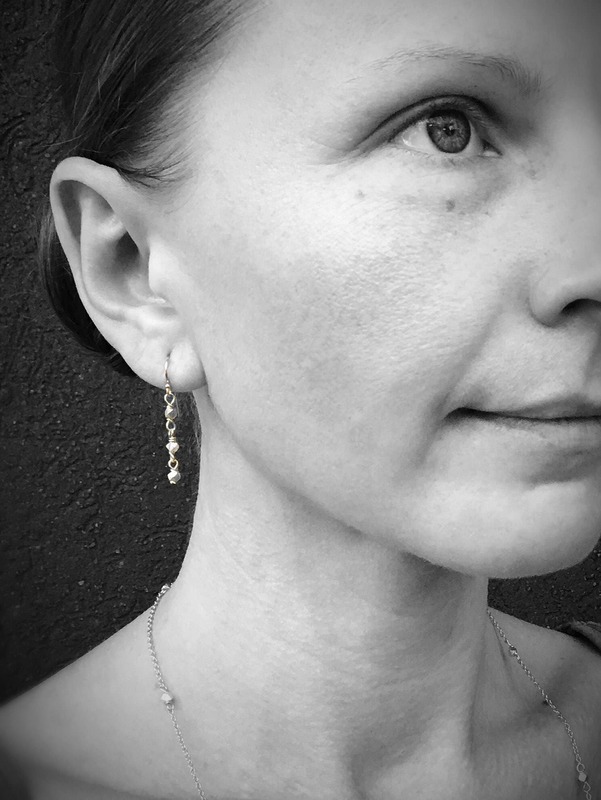 -Earrings feature fine silver (99.9% pure silver) hand carved hexagonal nugget beads which are 3mm width. 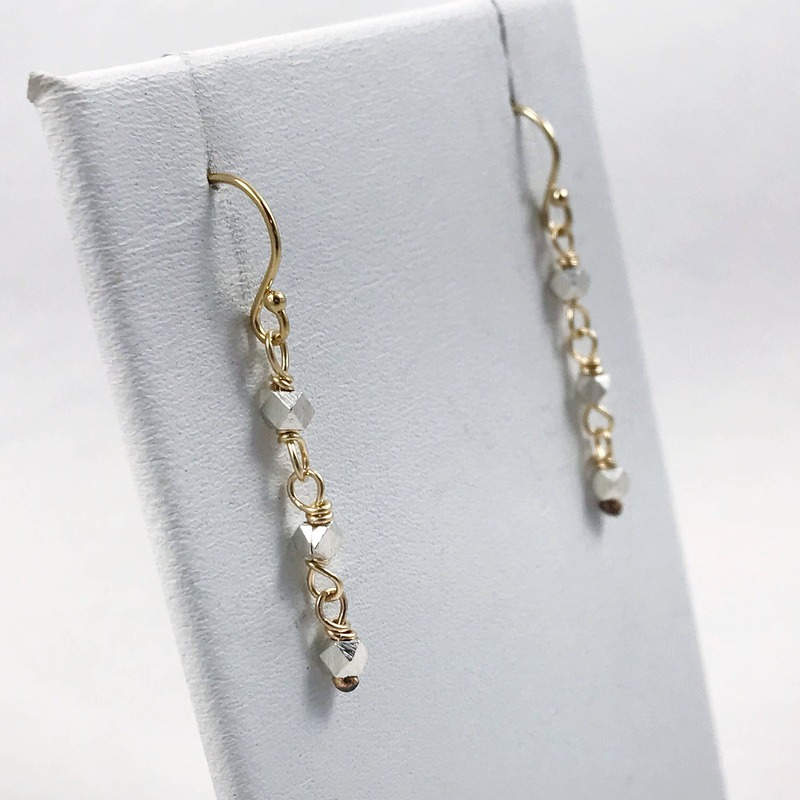 -Total length of earrings from top of earring hook to bottom of design is 35mm (1 3/8"). 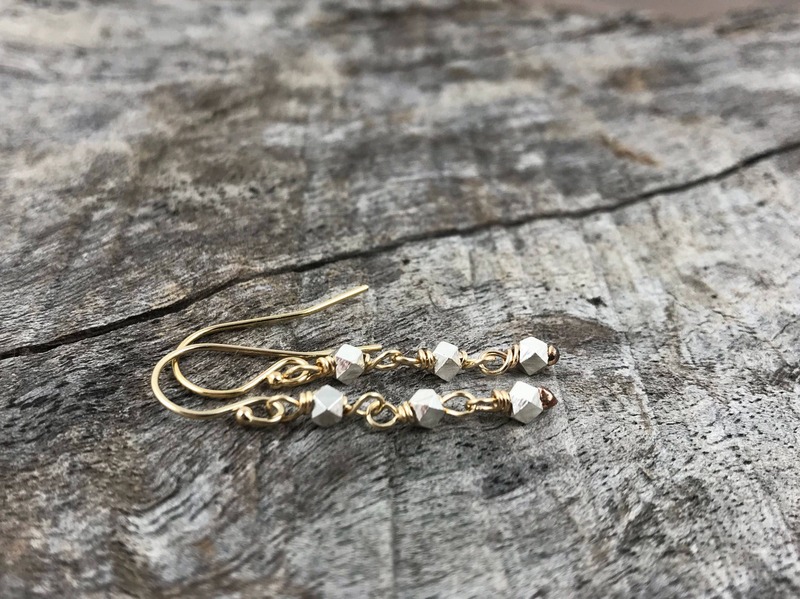 Delicate, light weight earrings. Very pleased. Thanks!